When I first heard of bone broth, I had no idea what people were talking about. I mean obviously it was a broth made from bones, but what made it special. So I looked up a recipe. People were simmering bones in water for long periods of time to extract the minerals and other nutrients. Then I realized I had made bone broth on and off for the last 15 years. I had just called it broth. Fifteen years ago, I was a vegetarian so I wasn’t making it for myself, but every time my cats got sick, I would turn to my copy of Dr. Pitcairn’s Complete Guide to Natural Health for Cats and Dogs. He recommended that a special chicken broth be made to help sick animals recover faster. So even though I didn’t eat meat myself, I bought a chicken and made chicken broth. I don’t even remember what I did with the meat, but after I had made the normal chicken broth, I put the bones back in it and cooked it for many more hours. Dr. Pitcairn recommended added a few tablespoons of vinegar to the broth to help get the minerals out of the bones faster. This made total sense to me so it became a regular practice when I had a sick cat. Eventually, I started eating meat and now I even raise my own chickens. Whenever I cook chicken, I like to save the bones in the freezer. When I have enough of them, I stick them in a pot and add enough water to cover the bones and a few tablespoons of vinegar. 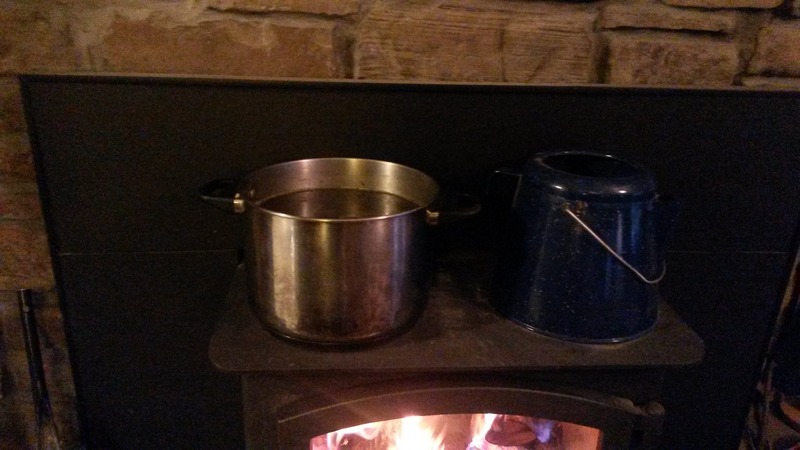 Then I cook it for as long as I reasonable can, adding more water if needed. Many people do this in a crockpot so they can leave it simmering for 24-48 hours. If you can cook it long enough, the bones become easy to break and you know you have extracted most of the nutrients. After whatever period of time, just strain and enjoy. I often freeze any extra for later use. If you are not ready to make your own, companies are starting to sell real bone broth ready to use. Bone broths have been a part of traditional cooking throughout the world. For instance, I am also a huge fan of pho, the Vietnamese soup made with beef bone broth. If you asked a Vietnamese granny for her recipe, I bet she would tell you to simmer the broth at least overnight. Bone broths can be used as the base for any dish you would normally make with broth, such as soup, sauces, or as the cooking liquid for whole grains. Or you can drink it hot with salt and any other spices. Bone broth is going to be rich in minerals as well as gelatin, glucosamine and other nutrients our bodies need. In addition to calcium, bone broth contains magnesium, potassium, phosphorus and a host of other trace minerals. We can also get collagen, gelatin, and glucosamine from the connective tissue on the bones. These combinations of nutrients are obviously good for bone health, but they are also likely to enhance the health of your hair, skin, and nails. Bone broth might also help keep your joints and connective tissues in good shape. Of course, many other conditions could benefit from this boost of minerals and nutrients, from insomnia to heart palpitations. 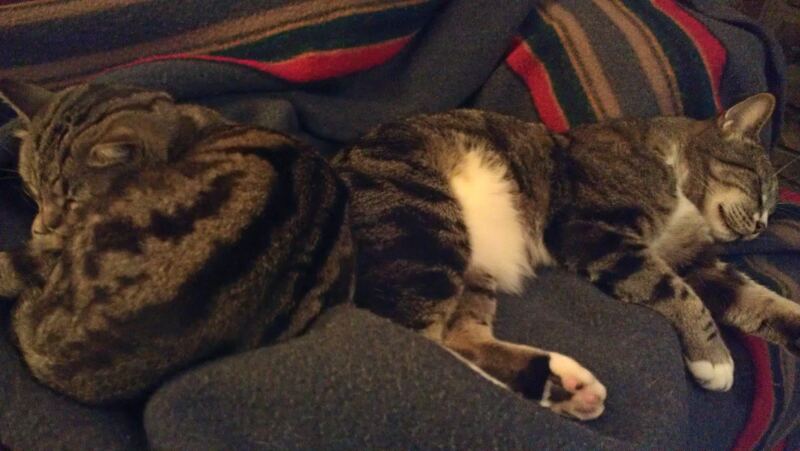 And at this time of year, remember that broth is the traditional remedy during cold and flu season (or for a sick cat). My mom is gluten sensitive so I knew I had at least a 50% chance of having the genes that can predispose one to gluten issues. I had experimented with going gluten free before and hadn’t found gluten to be a problem for me. Since these issues can manifest as we get older, I still was paying attention in case I developed a sensitivity later. Recently, I did notice digestive discomfort and bloating after I ate meals with lots of wheat in them. So now I am going to be gluten free for 2 weeks. At the end of the two weeks, I am going to do a gluten challenge where I will eat a normal serving of wheat with all three meals on one day. This is a step that a lot of people skip. It helps us know how big of a deal it is for us to eat wheat or gluten. Without this step, I see people often slowing adding gluten back to their diets and not knowing whether to associate it with the symptoms they are having. I don’t believe that everyone needs to go on a gluten free diet, but foods high in gluten are over consumed in America. This is partially due to the convenience of burger buns and wheat tortillas for making inexpensive foods for on the go. But overconsumption of wheat and other high gluten foods might be contributing to health issues in all people. Dr. Perlmutter claims that all grains in high amounts are bad for our brains. 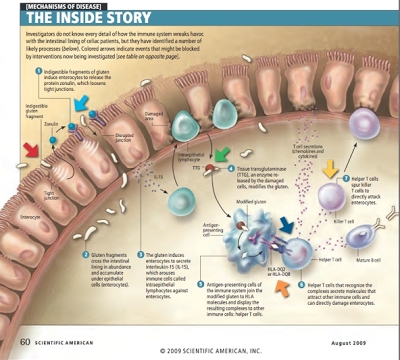 Another research found that gluten may cause some degree of leaky gut in all people. Again this doesn’t mean that everyone needs to be gluten free. I would like to see follow up research done on this new idea, and even if this theory is correct, we can rely less on wheat in our diets, but don’t have to eliminate it entirely necessarily unless it is a real problem for us. Gluten is a protein in wheat made up of smaller molecules called gliadin. Gluten is primarily useful for making bread since its stretchy nature allows bread to rise. When it comes to quick breads like pancakes, muffins, cornbread, and cookies, other flours can be easily substituted like the Bob’s Red Mill Gluten Free All Purpose Baking Flour. Your pancakes might not hold together quite as well, but they will often be lighter and fluffier. There are of course some tricks to learn about gluten free cooking such as coconut flour cannot be substituted in a one-to-one fashion for wheat flour. You use ¼ cup coconut flour for every cup of flour and add extra eggs to the recipe. I find the best success from using a mixture of gluten free flours. 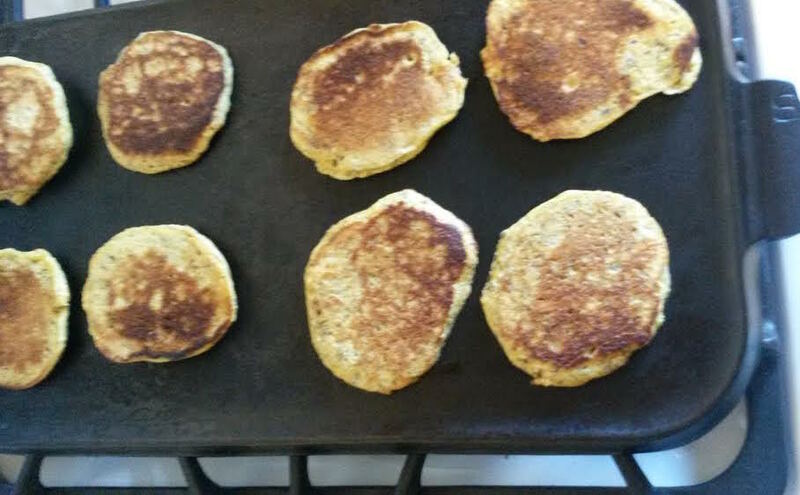 For instance, if I make pancakes with the Bob’s Red Mill Gluten Free flour, I also add cornmeal and flaxmeal to give it a more whole grain texture. If get accidentally glutened or want to cheat on rare occasion, try the GlutenEase enzyme from Enzymedica. I started making my own vanilla extract a few years ago, and I am hooked. I even did a taste comparison between my vanilla and a store bought one. As you can probably guess, mine won. My recipe is a tiny bit more complex than some, but it is worth the extra effort. If you start your vanilla in the next month or two, you can give it as gifts during the holiday season. Cut vanilla beans into about ½ inch pieces. Combine all ingredients in a jar. Let sit in a dark place for 2-4 weeks. Strain and enjoy in your favorite recipes. I get my vanilla beans from Frontier, which is a cooperative distributor of bulk herbs, spices, and more. I spent the last few days visiting their operations in Iowa and was very impressed by their emphasis on quality and their dedication to improving the lives of the farmers who supply their products. 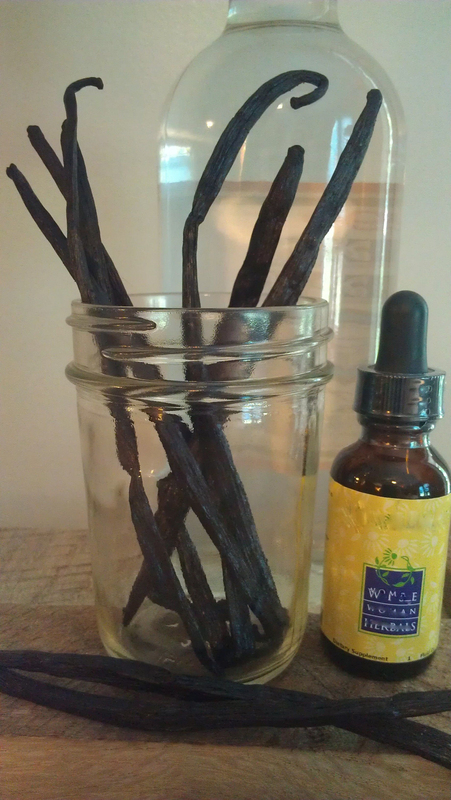 For instance, vanilla is one of their biggest sellers, especially their Bourbon vanilla beans grown in Madagascar. In general, Frontier makes efforts to ensure fair treatment of farmers and workers, sustainable production, and adherence to food quality and safety standards. Additionally, they really care about the communities where their farmers live. Whenever they visit, they take soccer balls for the local children’s groups. This is hugely popular, but even more important they help provide schools, meals for school children, and more. In a recent initiative, they dug wells in 38 villages in Madagascar that supply their vanilla beans. This provided clean drinking water to over 25,000 people. Additionally, the farmers use this clean water to wash the vanilla beans. This helps ensure that the vanilla beans and other spices are safe for us to consume. 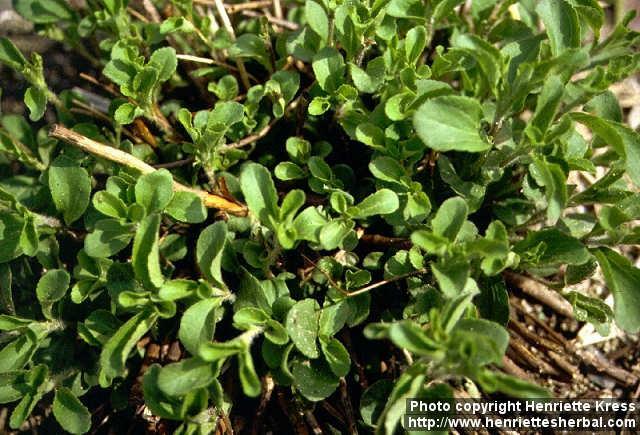 On top of this, Frontier has multiple layers of quality control at their facility to guarantee that all herbs and spices are correctly identified, have the best flavor or medicinal constituent profile, are free of contaminates, and safe for our consumption. It feels good to support businesses like Frontier who care so much about the herbs that I get and the people who grow them. So enjoy some delicious vanilla and some of the good that is done in the world by companies that care. I frequently recommend foods high in potassium to my patients with high blood pressure. A recent study has me thinking I need to recommend these foods to more patients. This new study revealed that postmenopausal women who consumed the most potassium reduced their chance of stroke by 12% compared to those who ate the least. Women who didn’t have high blood pressure noticed an even better outcome from eating more potassium with a 27% reduction in strokes. Potassium is thought to improve the functioning of small blood vessels in the brain and throughout the body, partially by improving nitric oxide formation which can help open up blood vessels. In truth, I recommend high potassium diets to most of my patients by encouraging them to eat a lot of vegetables. I believe that one of the reasons we need to get our 5-7 servings of veggies and fruit every day is to make sure we get adequate potassium. The average adult needs about 4700 mg of potassium a day. Many of the best potassium-rich foods are vegetables. 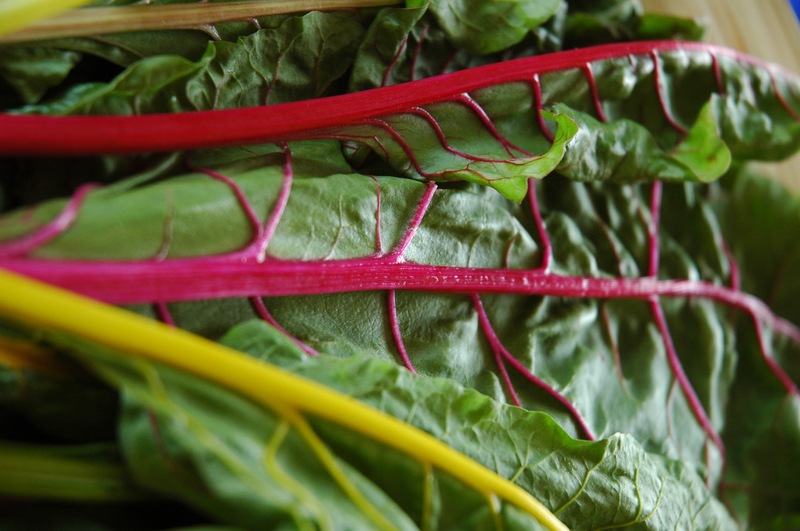 For instance, a cup of cooked Swiss chard offers around 900 mg of potassium. Other high potassium foods include spinach, bok choy, beets, nuts, and dried beans. For a great list of potassium-rich foods, I like the chart available from World’s Healthiest Foods. My husband and I additionally take an electrolyte mixture that includes potassium when we work on the farm during these hot summers. 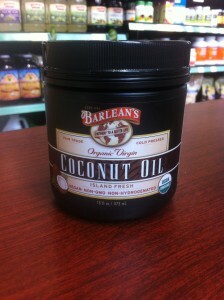 Another good choice might be coconut water to help replace some of the potassium lost through sweating. By emphasizing potassium intake, we get all of the benefits offered by this crucial mineral. Potassium is essential for nerve function throughout the body and especially in the heart. Getting adequate potassium can help preserve bone density and prevent the formation of kidney stones. Potassium deficiency might contribute to premenstrual issues and possibly the development of diabetes. As I mentioned above, eating high potassium foods can be one of the steps to help people reach a healthy blood pressure goal. And when we eat high potassium foods, we also get the full range of powerhouse nutrients that these foods provide. It is likely that these additional minerals, vitamins, and antioxidants from fruits and veggies contribute to some of the cardiovascular protection seen in these studies. So figure out what high potassium foods you love to eat, and if you want some tips on getting more vegetables in your family’s life, check out my blog on getting kids to eat veggies. Bulletproof coffee isn’t the only way to have a delicious brain-boosting beverage. You can boost your cognitive function with curcumin, the active ingredient in turmeric. Curcumin protects the brain from cognitive deterioration caused by stress. But I don’t know anyone who is dealing with stress! Especially not the law students who are popularizing the bulletproof coffee recipe in this area. For my bulletproof turmeric, I have used coconut oil, butter, honey, and spices to optimize digest and the absorption of curcumin. 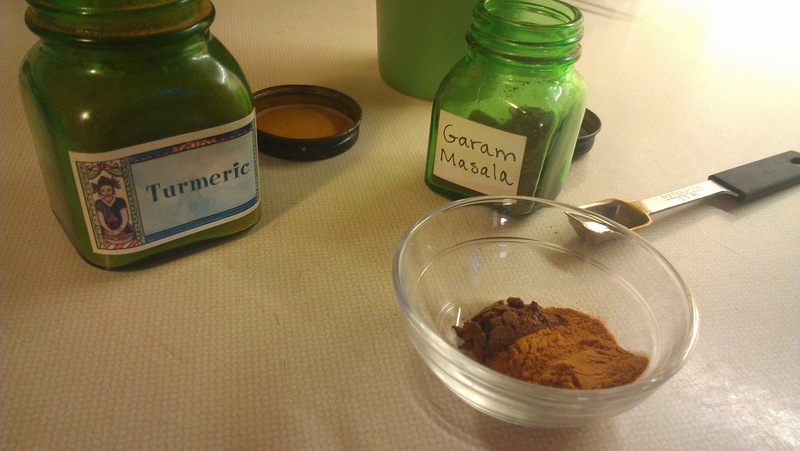 Curcumin is notoriously difficult to absorb, but fats and spices, particularly the black pepper in the garam masala, greatly increase our absorption of curcumin into the blood stream. 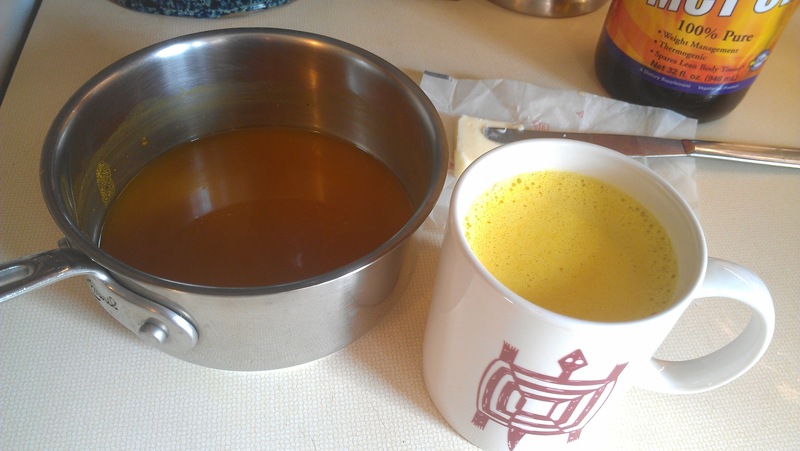 Simmer water with turmeric, garam masala, coconut oil, and butter for 10 minutes. There are many possible variations to this recipe. Add coffee if you like that boost or cinnamon if you are working on blood sugar issues. Since this recipe doesn’t have caffeine, it can be drunk later in the day than bulletproof coffee. This turmeric drink is also an excellent choice for people dealing with inflammation, pain, or elevated cholesterol. A recent study has confirmed that curcumin reduces knee pain associated with osteoarthritis. Curcumin is helping others achieve healthier cholesterol levels. In addition to having some nootropic benefits, turmeric might also help clear Alzheimer’s plaques from the brain. The benefits of turmeric are numerous, and while you might not feel the same jolt you would from a cup of coffee, turmeric provides long-term protection to the mind and body on multiple levels. P.S. 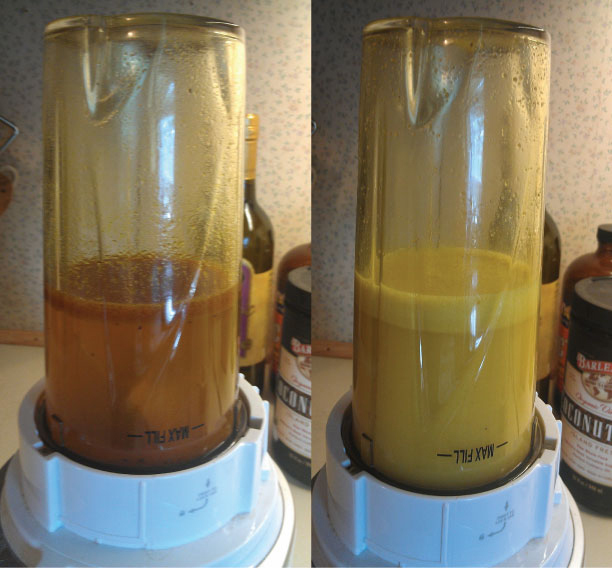 For those of you who follow my blog, my bulletproof turmeric tea recipe originated from my healthy food experiment . Turmeric is the second food I chose. I wanted to try it in tea form and came up with this recipe. For a simpler tea recipe, try this one from Dr. Weil.